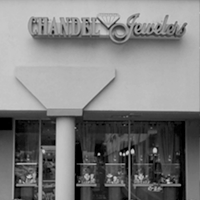 Established in 1968, Chandel Jewelers has been serving its clientele with honesty, dependably and integrity, setting a high standard for quality and value. Our goal is to meet and exceed your expectations .... This IS the Chandel experience! In the spring of 2015, owner John Gretkowski proudly opened the doors to his second location in Lyndhurst, NJ, returning him to his hometown roots. Our feature brands include, Andrea Candela, Alor, Alwan Vahan, and Belle Etoile, along with many others, allowing us to match your style and personal taste with the jewelry of your dreams. Chandel has curated a full bridal department which includes top designs by Bergio and ArtCarved, along with trend setting styles by Elma Gil and Valina. 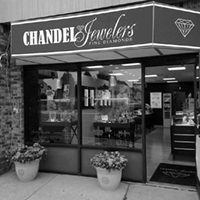 Allow our diamond experts to assist you in selecting your special diamond. We travel to Antwerp, Belgium semi- annually always seeking the best values for our clients. With a full repair department on premise, we offer many options , from while you wait service to complete restoration of family heirlooms. Our custom department will work closely with you to create your personal design to your standards, and with the use of CAD CAM design ANYTHING IS POSSIBLE! 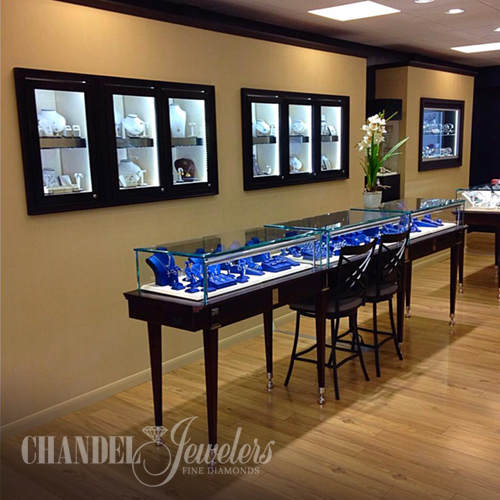 At Chandels we offer you an unrelenting passion for perfection and an impeccable eye for classic and today's modern styles.